Image 7326780: Cactus icons in a flat style on a white background. Home plants cactus in pots and with flowers. A variety of decorative cactus with prickles and without. 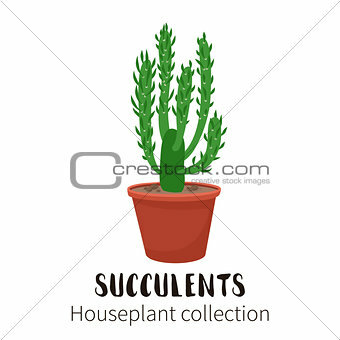 Image Description: Cactus icons in cartoon flat style isolated on white background. Home plants cactus in pots and with flowers. A variety of decorative cactus with prickles and without.